Our ATM services and goals are based on three simple principles that we work constantly to achieve. Our technology principle provides industry leading technology and our foundation is developed to enable us to integrate easily any new technologies as they are developed. Our greatest delivery principles dedicated to deliver industry leading reliability and transaction delivery innovations. Our best value is principle is dedicated to using technology and delivery capabilities enabling us to provide solutions at the best value in the industry. Our technology enables us the provide industry leading delivery from providing the solution to the ongoing functionality. We deliver fully functional ATM services with no long-term integration project required. We ensure the reliability of each of our solutions thru our remote management technology and our experienced service team. Our value is derived from two primary sources. 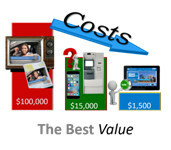 The latest technology reducing traditional transaction delivery costs. Our integrated ATM service technology eliminates the need for upfront product development costs and reduces maintenance and vendor management costs. Our value is further developed by our self-service functionality being delivered by an ATM rail resulting in the generation of transactional revenue. Mobile is the solution that consumers are migrating to and must be part of any transaction delivery solution. Our mobile solutions include developing mobile friendly sites to enable current and future capability. We deliver the latest in consumer attracting technology through Search Engine Optimization (SEO) and Geo locating technology making sure your solutions are noticed first and found easily. Our social media marketing delivers superior results through our expertise in the latest requirements of google and other search engines. Automated Transaction Delivery technology enables current and future mobile solutions with our cloud based, wireless solution base. 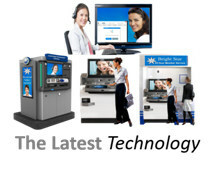 We are the only ATM service provider that enables all channels thru one central control system. This foundation makes integration of all solutions from Mobile to assisted self-service allowing for seamless integrated solutions. Our delivery of Mobile solutions is industry leading with our dedicated team of experts that are among the best and remain dedicated to keeping their edge in the field. We are the only financial institution ATM service provider that not only provides transaction delivery and consumer service capability but we integrate this capability with the necessary marketing to attract consumers. Our mobile solutions are the best value in the industry with technology driven costs that are far less than traditional methods. Our integration enables us to eliminate required up front product development and reoccurring vendor management costs inherent in other products. 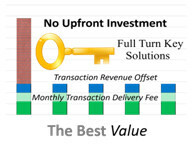 Our delivery fee model enables the ability for monthly investment in only the required technology. 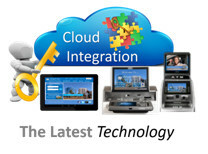 We are always integrating developing new technology to remain on the cutting edge where consumers are. The mobile solutions we are working on include Mobile Banking, Web conference enabled account opening and mobile transactions. Automated Transaction Delivery is the sister company of ATM Worldwide. ATM Worldwide was established by Trey Prats in 2000 and was originally established as a full-service retail ATM company providing ATM’s, ATM repair & maintenance, cash management, interchange and wireless connectivity to retail clients throughout Southeast Louisiana and Mississippi. Since the company’s inception, it has been providing services to local Financial Institutions (“FI”) through mobile event ATM management and Off-Premise ATM outsourcing.